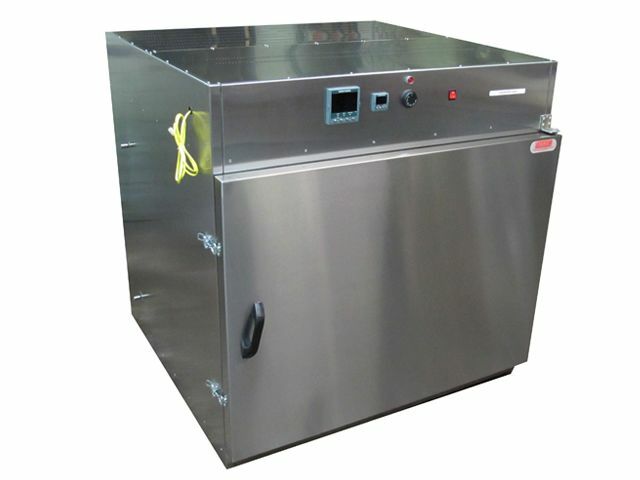 Design and build an air-jacketed oven, fan forced with a ramping heat rate to 260°C. The temperature stability at 260°C was ±1°C across the entire chamber with stability being held during the ramp up and ramp down of ±1°C. 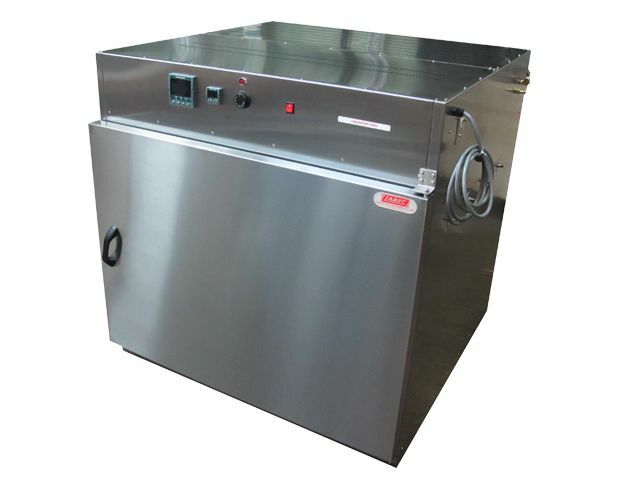 Cooling down was achieved using cool water and pressure inside the jacket of the oven. The oven contents were very unstable and temperature accuracy was extremely important. Using a nanodac™ controller with a mini-8 we used 9 temperature probes to monitor the entire chamber and achieve a whole chamber uniformity during ramp up, dwell and ramp down. 3 internal fans were used to ensure the excellent uniformity of air movement and stability. Controlling the stability during a quick ramping required detailed algorithms to be written into the nanodac™ and mini-8 controller to ensure control stability stayed stable and uniform during each part of the cycle.